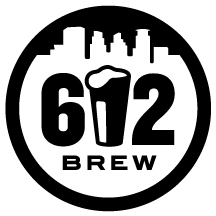 In the heart of the Northeast Minneapolis Arts and Brewery District, 612Brew calls Central and Broadway home. 612Brew produces small-batch beers to satisfy both the weekend beer drinker and the craft beer drinker with a discerning palate. Enjoy the local brewing culture while sipping a pint in our taproom, then look upon our mirror-polished tanks or sit in the courtyard amphitheater and rain garden. Come on, Minnesota. I’m Thirsty Already.